In this chapter, you’ll learn how Nectus selects Management Interfaces for Devices that are found during Discovery phase. Nectus will automatically select Management Interfaces using its own default logic. It also supports user-defined selection for cases where this is appropriate. 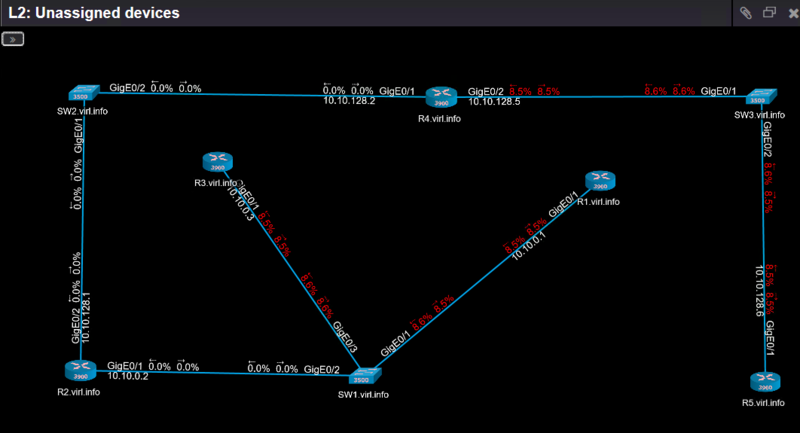 During Discovery, Nectus finds all SNMP Devices on the network. Every Device has one or more Interfaces. Some of those Interfaces will have IP Addresses assigned to them, and could be used as the Management Interface for that Device. It must have a unique IP Address. Nectus will not select an Interface that does not have an IP Address, or that has an IP Address identical to some other Interface on the network. It must be Up. Netus will not select an Interface that is not Up. If Nectus finds an Interface name that begins with Mgmt, it will use this as the Management Interface. If it does not find an Interface name that begins with Mgmt, it will look for one that begins with Loopback, and so on. If Nectus does not find an Interface whose name starts with Mgmt, Loopback, or Vlan, it will select the lowest numbered IP Address on the Device. This default logic allows Nectus to automatically select the correct Management Interface in most situations. To handle situations where the default logic is not appropriate, Nectus supports user-defined logic for Management Interface selection. Must have a unique IP Address. To create user-defined logic for a specific Device type right-click the Device name. In the menu that appears, select View Device Info. This opens the “View Device Info” dialog box. On the General Info tab, find the SNMP Platform ID and click the icon to the right of it to copy the ID. Note: All Devices with the same model number have the same SNMP Platform ID. 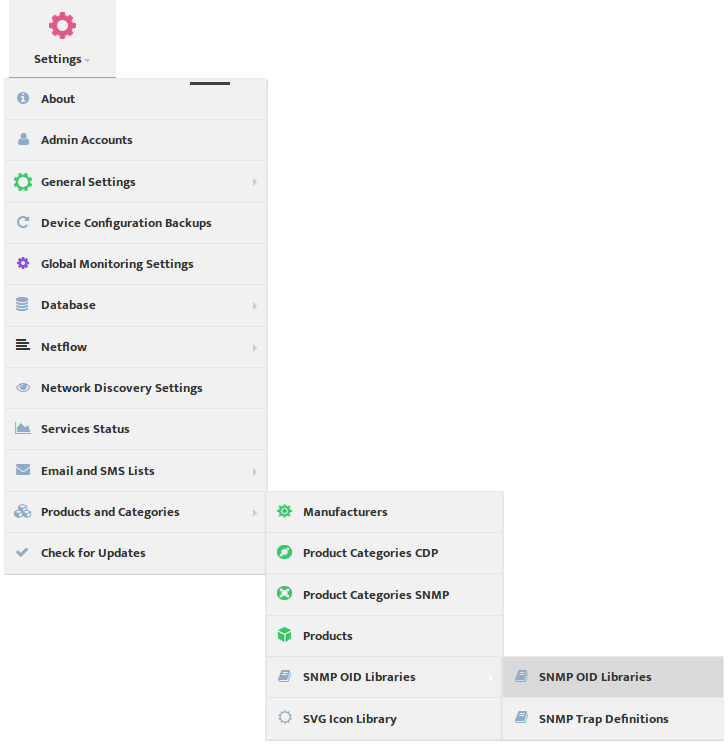 Next Step is to go to Settings -> Products and Categories -> SNMP OID Libraries. This opens the “SNMP OID Libraries” dialog box. Select Management Interface Name in the Filter by OID Type list. Nectus displays all the current user-defined Management Interface Selection rules. Click the Add button to open the “Add” dialog box. 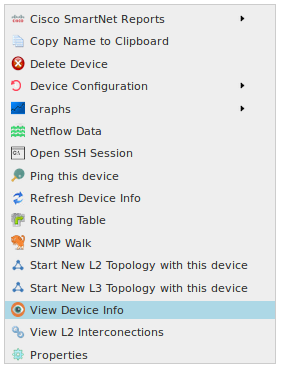 Enter the SNMP Platform ID and the Management Interface Name Nectus should use for this type of Device. Defining new Management Interface selection rules will have automatic effect on all devices that will be discovered after rule is created but does not automatically apply those rules to existing Devices. You need to tell Nectus to apply those changes to existing Devices. 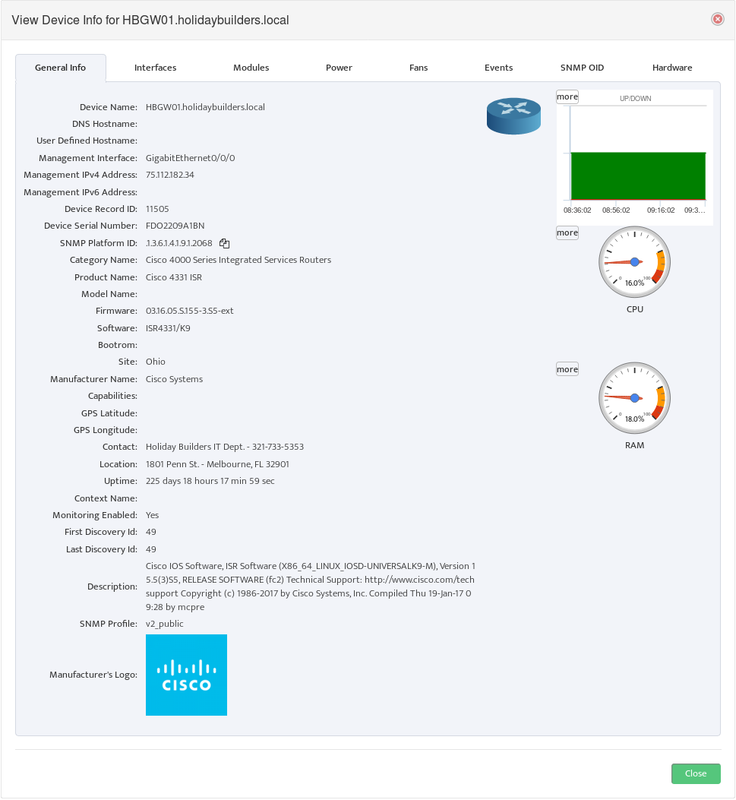 To apply the user-defined selection rules to existing Devices, return to the “SNMP OID Libraries” dialog box and click the “Apply to Existing Devices” button.